When you’re in facilities, your buildings are your baby. "Facilities managers are sort of like the Captain Kirk of the Starship Enterprise," says Vern S., the operations site manager at a Silicon Valley-based data storage company. "We know how it’s supposed to sound and how it’s supposed to feel. We can tell if there’s a bug on the roof." Even if you’re Captain Kirk, there’s simply not enough time in the day to ensure your ship’s running as smoothly as you’d like. We sat down with our buddy Vern (who is especially busy these days after his company was acquired by a multinational technology giant) to get his take on how Comfy’s workplace experience solution helped him run his "Starship" more effectively—while delighting employees in the process. "One of my biggest challenges is making people happy," says Vern. "Sometimes people want a warmer space, they want a colder space, they want a lighter space, they want a darker space...and it’s really hard to make everybody happy at the same time." Yet when Vern’s manager proposed Comfy, an app that empowers employees to take control of their workspace (temperature, lighting, and more) directly from an easy-to-use app, Vern was skeptical. "As soon as somebody tells me we’re going to give control to somebody else, I right away start going, wait a minute," says Vern. "I’ve worked really hard to reduce costs, why would we want to do that?" 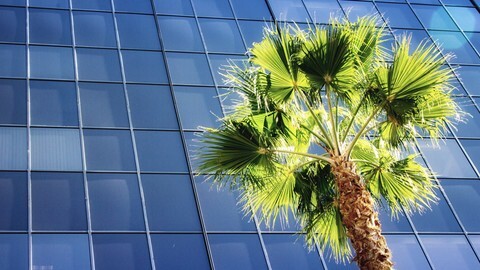 Comfy intelligently connects employees to the buildings they work in, but facilities teams aren’t always comfortable with that added technological interface. "You’ve done so much to keep things running so good on your campus, you don’t want to let go of it," says Vern. "But at the end of the day, what you really want to do is be working on something that’s going to elevate your position. Something that’s going to elevate your boss’s position. And you can’t do that if you’re chasing down cold calls all day." Vern came around to the benefits of Comfy as soon as it was first deployed at the company’s San Jose campus. As employees make requests to "Warm" or "Cool" their space through the app, Comfy communicates with the building management system to adjust the temperature in the user’s zone, by triggering immediate 10-minute streams of warm or cool air. 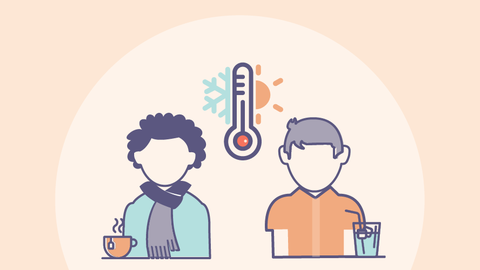 Over time, Comfy learns the preferences of that zone through machine learning and will automatically adjust the temperature range—within a predetermined temperature deadband—to better meet the needs of the employees throughout the day. "At the end of the day, what you really want to do is be working on something that’s going to elevate your position....and you can’t do that if you’re chasing down cold calls all day." "Having the Comfy app has really empowered me and freed me up to do more things," says Vern. In a post-acquisition world, "my time is even more valuable; I’m expected to do even more than I did before. And just having a little wedge of time given back to me during the day because of Comfy, has been a huge help for me." Ultimately, by providing employees with a way to control their own workplace comfort, employees are no longer worried that they are too hot, or too cold. "At the touch of their finger they can change that if they need to, and then get back to worrying about 'how do I meet my deadlines?'" says Vern. "Comfy makes it feel the way people need to feel, so they can be productive." Running a tight ship means Vern is always on the hunt for more efficiency and more savings, and Comfy helps there too. Over time, Comfy aggregates what it has learned from requests and automatically adjusts setpoints (within an agreed-upon range) to better match user preferences. This machine learning response has helped Vern and his team save significant amounts of HVAC energy. Vern's day is typically hectic, chasing one urgent building matter after another, and there's not a lot of time to handle individual workspace complaints (nevermind hours on phones with vendors troubleshooting issues). Comfy's combination of real-time feedback from the app and on-call customer support team helps Vern actually get ahead of certain building issues. "In the past, I was either looking into the issues first myself, or I had to push a button to get somebody to look into them," he describes. By nearly eliminating hot/cold call complaints, Comfy helps elevate only the most important building issues. For example, the Comfy support team will often "see proactively that the AVs aren’t responding like they're supposed to, and they actually flag me before any customers see that, which is awesome," says Vern. While the Verns of the world are working hard to maintain and run their Starships, in reality it does take a knowledgeable crew to make it possible. According to Vern, the Comfy team has been "just super professional, super focused, super efficient, very friendly, easy to work with. There's been a lot of times I’ve wanted to pull up my sleeves and jump in there and help get things done, and there hasn’t been any room, because everybody’s elbows to elbows and moving forward. It’s just been super awesome." As the world of IT and facilities come together, innovative workplace solutions like Comfy—which includes both the right tools for workplace managers and the experienced team of experts to deliver them—are what are driving value for companies seeking to get more ROI from their buildings. 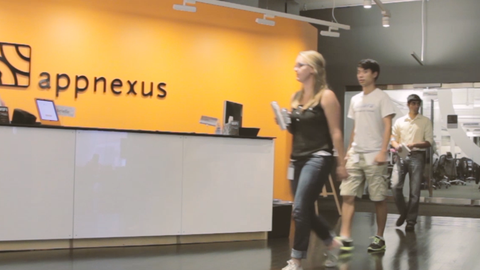 Hear more from Vern and his team about their Comfy experience in this video. Heading to IFMA in Houston this week? Look for Comfy (in bright orange vests!) at booth #634. What Happens When Two People Disagree About the Temperature?